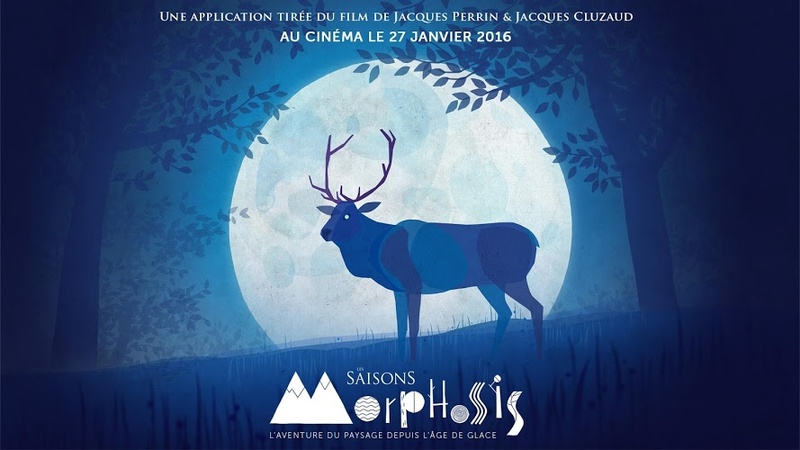 Seasons: Morphosis - is a fun, narrative experience based on Seasons, Jaques Perrin and Jacques Cluzaud's feature film, coming to theaters on January 27, 2016. Seasons: Morphosis is a tablet-optimized app. Go back in time with Seasons: Morphosis to discover the history of our environment and the evolution of the landscape. Experience an extraordinary adventure together as a family, move through thousands of years of evolution to better understand the world we live in. You will discover how animal and plant species have continually adapted to their habitats over the millennia. Through 6 historical periods, discover how our landscape has transformed from the great white mantle of the ice age into today's modern world. The new alliance, the modern era – since the year 2000. The last 3 periods will be added during the next updates in the run-up to COP21, the UN Climate Change Conference, which is taking place in Paris starting from late November 2015. Play around with time lapse mode: you will see the landscape evolve and discover how rivers, islands, and forests came to be. Each episode will make it possible for you to chronologically understand the successive changes in our ecosystem. The episodes combine animation and light interaction phases, in which you have to interact with parts of the scenery to make the narrative move along. Written by Stéphane Durand, Jacques Perrin's screenwriter, together with a team of scientists, Morphosis is a family application, perfect for learning while having fun.